When someone mentions the words “Horns” and “Africa” in the same breath, you are likely to have an immediate image of rhinos, rather than brass. 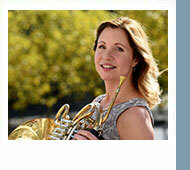 This month, in Horn and More, we offer you both...combined! 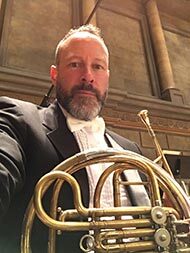 This issue highlights some of the efforts to bring the horn (instrument) into areas that do not have a long brass-playing tradition, as well as some seriously impressive charitable initiatives. Many thanks to our contributors this month from far and wide. The dedication and desire for music and musical education opportunities are such a beautiful aspect of the lives of our IHS members. Also in this issue, check out Bill VerMeulen’s video about the newly resurrected “Ask-A-Pro” series, our Pedagogy Column featuring Eric Terwilliger (with translations in Korean and Spanish), a report from the Sauerländer Horntage festival in Germany, and other news. Please note that as the current issue remains free access to all, our newsletter archives will be available from now on by logging into our website with your member ID and password. There’s never been a better time to join the IHS, so if you haven’t yet done so, please consider becoming a member of our lively worldwide community today. 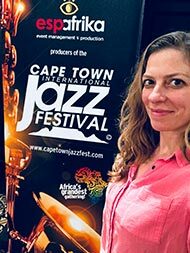 In March of 2018, I had the incredible opportunity to travel to South Africa to perform at the Cape Town International Jazz Festival with Miguel Atwood Ferguson’s Suite for Ma Dukes (the music of legendary hip-hop producer J Dilla). I had always wanted to go on a safari “someday”, so being an opportunist in travel, my jazz gig suddenly landed me at a beautiful yet rustic safari lodge in the Greater Kruger National Park area of South Africa. I booked myself on a 3-night safari, not knowing what I was getting myself into. My guide for the safari, Willem Pietersen, was curious about my varied career in music, but was himself a wealth of knowledge about every plant, tree, insect, bird, and animal we encountered. He was so invested, I would’ve assumed guiding was his main career goal, but we discussed the necessity of diversification in building a life around your passion. In music, this often means gigging, teaching, and auditioning while working other jobs as well. For Willem, constructing a career in conservation meant juggling several other major projects while working as a full-time guide. Willem and his brother, Joe Pietersen, had a few other irons in the fire - namely, they owned Nkombe Rhino, a non-profit protecting rhinos from poaching. They were also producing and hosting a 13-episode television documentary about conservation efforts throughout the country. The series, released this past spring, is called Veldhelde (“Field Heroes” in Afrikaans). Not your average side-jobs! Needless to say, after having an incredible time on safari and making such interesting new connections in Africa, I stayed in touch after returning home and had no idea where that first “gig” would lead. 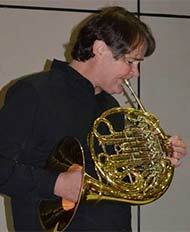 I joined the Cape Town Symphony Orchestra in February of 1993 as fourth horn. It was my first permanent position, and I was very excited to be so far from home. Our principal was English, so I really enjoyed hearing a horn sound that was different from that which I had heard as a boy. Our first series of concerts was a Rachmaninov festival that took three weeks. It was an amazing musical experience filled with some of the most melodic musical ideas I had ever played. The political climate was very interesting at the time since the country was preparing to have its first free election the following year. It seemed to be very tense, and there was an excitement among people that maybe everyone might just learn to get along. I absolutely loved the scenery around the city, and even learned to drive on the “wrong” (left) side of the road; this was an adventure at first since I learned next to a cliff! My three years in Cape Town were filled with learning to understand “funny” accents (and having others learn my funny Texas one), meeting and chatting with many people, and learning to get used to the abundant poverty. Ultimately, I decided to stay in Africa. My next stop, after a brief stint as fourth horn in Barcelona was playing in the pit orchestra back in Cape Town. I had not played many operas or musicals before, and the time in the pit made me wish I had gotten more opportunities to do this type of work. I was only there for 6 months as the government started diverting money away from orchestras in order to concentrate on projects for the indigenous cultures. The existence of symphony orchestras is under increasing threat world-wide. This is largely due to the challenging cost model of keeping seventy highly skilled professional musicians in permanent employ but also due to a variety of cultural and societal factors. This is also particularly relevant to the wider South African society with its renewed scrutiny of colonialism in education and society. Against all odds symphonic music has endured and even thrived in areas such as the motion picture industry and particularly in Asian societies. 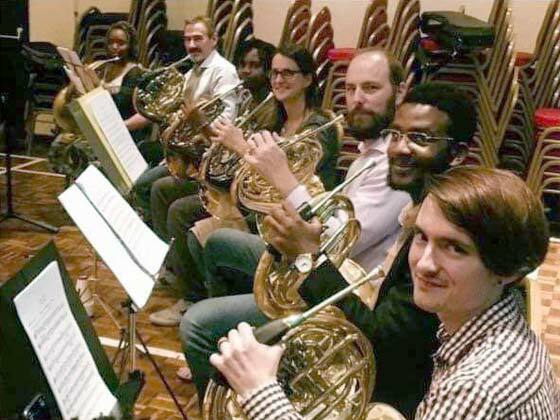 As a professional orchestral musician, educator and artistic director of an orchestra I am well versed in the challenges that exist in the South African music environment. We often look to Europe as our role model, but the rest of Africa is largely ignored. My motivation for this survey was to find out what could be found in Africa, where to find it and the rationale for the existence of orchestral activities in this vast continent. The results below are largely the result of an internet search as physical publications are extremely rare. The popular Ask a Pro feature is returning to the IHS Forum, this time in video form and coordinated by Bill VerMeulen. For the full story, watch this video. Years later I still recall his words and the truth in them. These days I’ll go weeks without thinking about Cape Town, and then it’ll stealthily pop into my consciousness with an accompanying pang of loss that still feels as fresh as the day I left. When I look back on my nearly 13 years of living and working there, my overall feeling is a kind of dual-edged surprise, opposite sides of a coin: disbelief on the one hand that I stayed so long, but on the other that it all felt like it went by so quickly. Before I get to describing the orchestral scene in South Africa, I first need to provide a picture of Cape Town and the actual boots-on-the-ground (or rather sandals-on-the-beach) experience of day to day life there. It’s one of those places that gets under your skin. Jaw-droppingly beautiful, geographically impossible, with a perfect climate rivalling San Diego, the city of Cape Town wraps around the feet of 3,000-foot-high mountains. The tallest of these, Table Mountain, is a massive flat-topped mesa that lords over all activity below and even governs the weather. Viewed from a distance the city looks improbable, like a scene digitally created for a movie. Wild nature is everywhere, even in a city of four million. If you live on the slopes of the mountain, as I did, you can wake to find a cobra sunning itself next to your pool. In the suburbs, baboons breaking into cars and raiding kitchens are a common occurrence. Barry Tuckwell Scholarship deadline December 1, 2018. Win up to $500 to cover your expenses at a workshop or masterclass anywhere in the world during 2019. While there are many musical groups in Malawi, they tend to be choirs (usually connected with a church) or small bands. Rock, jazz, hip-hop, rap, reggae and R&B can all be found, as well as fusions of Malawian traditional music with forms from South Africa and the Congo. It is not odd to hear bars blasting the most popular, recent gospel songs! Guitar, banjo, and keyboard are popular, and accordion finds frequent use. Some groups use commercially produced instruments, while others use instruments they have handmade—bass, guitar, and full percussion sets. Lyrics are most often in English or Chichewa, the national languages of Malawi. The annual “Lake of Stars” music festival has brought together international and Malawian artists for the last 14 years. Classical music, on the other hand, has little current expression in Malawi. Blantyre—the economic hub of Malawi, with a population of roughly a million people—has the Blantyre Music Society, which performs a mix of choral and instrumental pieces twice a year at an amateur level. The choir has around 30 members, while the orchestra has 15-20—most of whom play strings or woodwinds. In six years of living in Blantyre, I did not hear of anyone who plays horn anywhere in Malawi. A couple of months ago I discovered a man who used to play horn in high school in Canada—but that is as close to a horn player as I have found! Trumpet and trombone are better represented, but instruments are thin on the ground. I know of one B flat horn in Malawi, but when we return to there in January, I hope to bring my horn with me—perhaps the only double horn in the country. 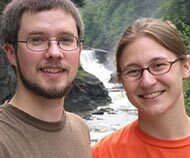 Jonathan Owen is a graduate of Messiah College in Mechanicsburg, Pennsylvania. He and his wife Becky have both been active as missionaries in Malawi since 2012. He teaches at the Evangelical Bible College of Malawi. Members ONLY! 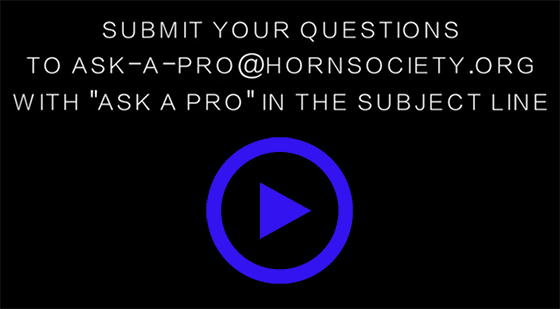 Call for nominations to the International Horn Society Advisory Council. Nominations to the Advisory Council three-year terms of office, must be received by Executive Director Heidi Vogel, by December 1, 2018 exec-director@hornsociety.org. Nominees must be members of the IHS and be willing to accept the responsibilities of the position. When you think of a place exploding with classical musicians, I highly doubt Nairobi, Kenya would be at the top of your list. That was the mindset I had five years ago during my first trip to Kenya in 2014. I traveled to visit a friend teaching string instruments at a private high school with no clue as to the development of a music conservatoire, several youth orchestras, and even an adult community orchestra to accommodate all of the blossoming musicians in Nairobi. I was shocked to find enough people learning and performing instruments to form more than one orchestra when where I come from in “the developed world” I had to drive an hour in any direction to participate in simple community bands. It was both thrilling and confusing at the same time. One of the things that drew me back to Nairobi to live was finding that among this growing world of musicians, my own beloved instrument, the horn, was almost non-existent. The instruments were not really available in the country. The rare horn players that were around were not taking students. All of the orchestras were using saxophones to fill in the horn gaps. The horn was like Bigfoot or a unicorn in Kenya. My thought was that while I do not consider myself to be an amazing horn player or teacher, at least I can do something to help fill in this obviously needed role. Das große Symposium rund um das Horn im Herzen des Hochsauerlandes ist für viele Hornisten in Deutschland und darüber hinaus ein fester Bestandteil im Kalender geworden. Als am Freitagabend die ersten Töne im Musikbildungszentrum Südwestfalen erklangen, herrschte bei den 67 Teilnehmern, Dozenten und Ausstellern der 9. Sauerländer Horntagen gespannte Vorfreude. Nach der Begrüßung aller Beteiligten durch den organisatorischen Leiter Uwe Becker begannen die Proben des großen Hornorchesters. Chris Brigham dirigierte sein eigens für die Horntage arrangiertes amerikanisches Volkslied „Shenandoah“, bei dem alle Teilnehmer, vom jüngsten Musiker bis hin zum Profi, gemeinsam musizierten. 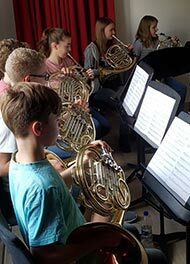 Nach dem gelungenen Einstieg in das Hornfestival verabschiedeten sich die 15 jungen Musiker der „Zukunftshörner“, um mit ihren beiden Dozenten Chris Brigham (Musikhochschule Detmold) und Lukas Krämer (Pro Musica Sacra Siegen) separat zu proben. Der Samstag begann mit einem gemeinsamen „Warm up“. Kristina Mascher-Turner (American Horn Quartet) zeigte den Teilnehmern diverse Einspielmethoden zur Vorbereitung sowie zur Erweiterung der individuellen Möglichkeiten. Anschließend probten die Teilnehmer in verschiedenen Ensembles unter der Leitung eines Dozenten, um ein Stück für das Abschlusskonzert einzustudieren. Perhaps the greatest challenge a teacher faces is finding a way to motivate their students. Sometimes even the most talented young players are not able to find a way to develop their talent to the level of mastering our wonderful instrument, while a student with average talent does. The flame of motivation that students may have during a lesson when they strive to play their very best for their teacher, or during a concert while under the spell of an audience, may fizzle out during the long hours of practice time that are necessary to first develop their talent and then maintain the performance edge during a lifetime of happy horn playing. I have always used mental images to motivate me. I was very fortunate to have access to an extensive collection of recordings of symphonic music when I was a child. 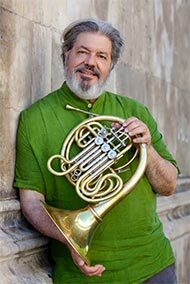 The heroic sound of Roland Berger soaring above the Vienna Philharmonic in a Strauss tone poem became a part of my horn concept as well as the noble phrasing and velvet sound of Philip Farkas playing the first phrase of the the Brahms second piano concerto. Indeed when I was sixteen I would listen to a phrase and then run down to the basement and attempt to duplicate it. To this day I never play a single note without filling my mind and soul with the sound of the note vibrating in the acoustic of one of my favorite halls. Before I was fortunate enough to play in these halls, I thrilled myself by imagining that I was. The mental images help me to focus my mind, eliminate distractions and keep me in the flow of the moment.